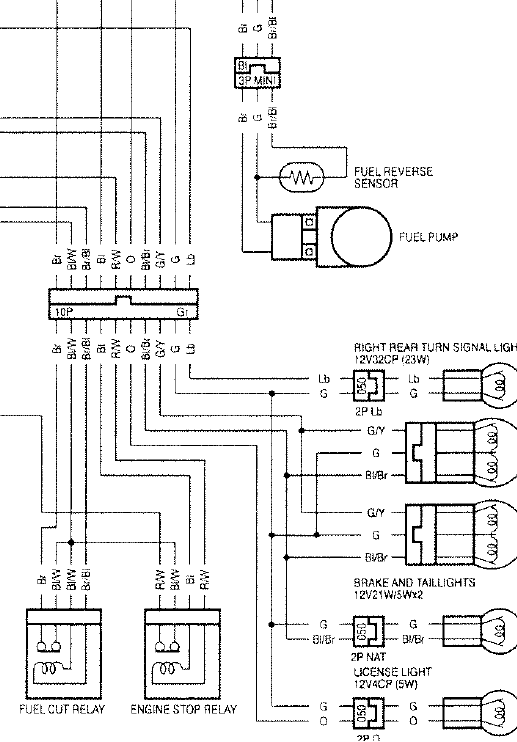 Ok so I have checked basically everything and bypassed everything and what I have currently is no power going to the fuel pump at the three pin connector on the the green is ground and the middle is 9v then the outer brown is 0v which runs the pump the relays click when I turn on and off the kill switch I have bypassed the tps the clutch and kickstand... I have new pump and a new ignition set... I purchased the bike not running/ someone stole the fairings long story do I plugged in the head light assembly and ran awesome... then 4-6months later I got some darings and washed the bike and brought it in the house and put the fairings on and these are my current issues lol.... any ideaS would be helpful?? Did you remove the tank to put your fairings on? I vaguely remember there being 2 connectors under the tank that can mixed up. Not sure, but worth having a look. It ran, you put fairings on, and now it doesn't. It has to be something that was touched during the swap. is voltage making it out of the relay? Last edited by CaBaRet; 05-25-2017 at 03:18 AM.